You work hard on your content. Your writers slave away for hours to produce high-quality pieces and you’ve built your strategy using carefully selected research. So why isn’t your website getting the page views you need? Aren’t Internet users supposed to just flock to a top-notch website? Even if your content is well-written and true to your brand, it is not necessarily qualified for hundreds or even thousands of page views. However, with a little polish and knowing how to work the system, your website will gain more attention than ever. Here are some ways to make sure your content gets the views it deserves. 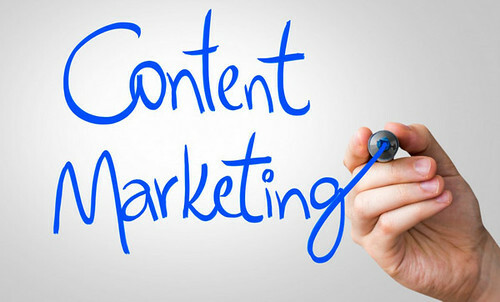 Do you know how writing content using search engine optimization (SEO) can help? Writing to take advantage of the SEO algorithms of various search engines will help your page gets more views. The more points of the algorithm your content hits, the higher your website will rank. This means when someone approaches Google or Bing with a question or problem, the earlier your site comes up, the more likely your content is to receive views, and the more likely the user is to return in the future. There are many methods for increasing SEO using content, but some are more important than others. In the past, SEO algorithms focused more on superficial details, such as how many times a specific keyword appeared in the content, but thanks to updated algorithms, one reason trumps all: quality. Well-written, focused content with reputable links, images, and meta descriptions will almost always receive a higher search ranking than a poorly written piece crammed with redundant keywords. It’s worth noting, however, that the algorithms for Google and Bing give priority to different factors. To make the most of your efforts, you will want to tailor your content depending on the search engine you expect your target audience to use. Hopefully you’ve already been doing this, but writing for your audience will guarantee your content gets views more than practically anything else. Why? Because when you write for your audience, you’ve done your research. You know what they want and what they’re looking for when they come to your website. Writing for your audience involves directing all your content toward that target, taking into account demographics, needs and wants, and issues they face in everyday life. Write for your audience by using a conversational tone, one that fits the target demographic. Usually, you are engaging in a discussion, not sharing a graduate school thesis (unless that fits the tone preferred by your field or audience, of course). Show that you understand the audience and the problems they face. That identification will build brand loyalty. Your audience will trust you, rely on you, and come back for more. Plus, they’ll likely also share your website with friends and family when they need the resources your site provides, earning you even more views. It’s a digital era, so if you’re not using digital media in your content strategy, you’re really missing out. Content is much more than the words of a blog or article post. Videos and images not only improve SEO, but they also increase page views. However, simply throwing in a low-quality video or a random image won’t help much. Any digital media you include should add to your written content. It should support your claims, add valuable details, or offer other resources. One form of digital media has gained traction in recent years, and it’s one of our favorites. Infographics are excellent for condensing information into an engaging, creative format. There are many different types of infographics, allowing you to personalize them for your needs. Adding interactivity to infographics improves user immersion and shareability. Social media channels make it easier to get exposure than ever before. Create a social media pages for your business or website and post regularly. It’s great to post previews of your content to get users to click-through to your website, but if you really want to build a social media following, you need to do more. Social media is about connections and participating in conversations. Post to your social media pages regularly, even if the post isn’t directly related to your content. Share a video related to your field. Comment on current issues (carefully, mind you). Make the most of the differences between the various channels. For example, you can start a YouTube channel where you post videos with links back to your website. Use Instagram Stories to show the inner workings of your business. Using everything you can to your advantage helps you gather more followers and friends, and when you share links to content, users are more likely to click-through. Take a moment to consider which device you use regularly to search the Internet. Is it your laptop? Your desktop? Your smart phone? In 2016, mobile Internet usage surpassed desktop for the first time, and experts expect mobile devices to stay a favorite for viewers searching for content for some time. Smart devices make it quick and convenient to search for the nearest restaurant, settle trivia debates between friends, and even conduct important research. Because of this shifting trend, it’s crucial that your website is mobile responsive, which means that its quality isn’t diminished just because users are viewing it on the screen of their smart phone. If your site is not already mobile friendly, integrate responsiveness into your website. It’ll increase your SEO rank and make it more likely that others will reach your high-quality content. Your content strategy won’t go far without the exposure that comes from page views. After all, more views result in higher conversion rates and those lead to a higher return on investment (ROI). While it sometimes feels like there is no rhyme or reason to getting page views, that’s not at all the case. You are in control. By understanding the game and adjusting your content, your website and hard work will get all the attention it deserves.